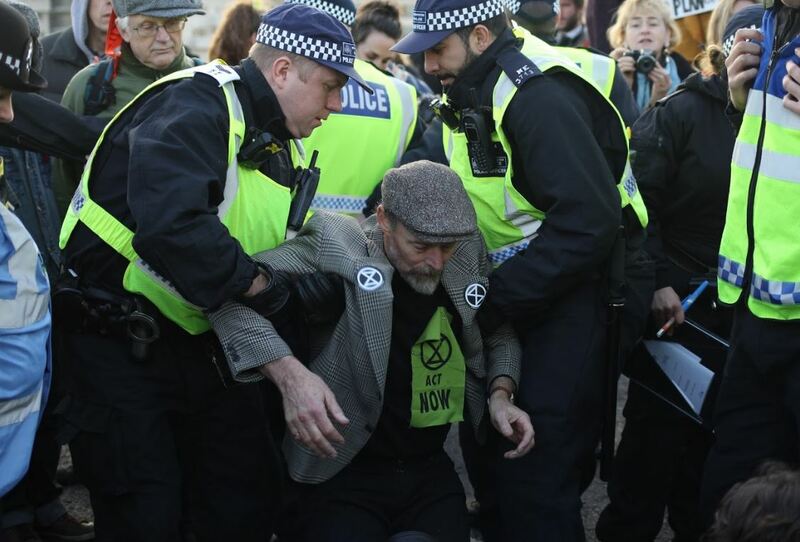 Four iconic sites in the capital are still being occupied by climate protestors despite the Met police making 113 arrests. 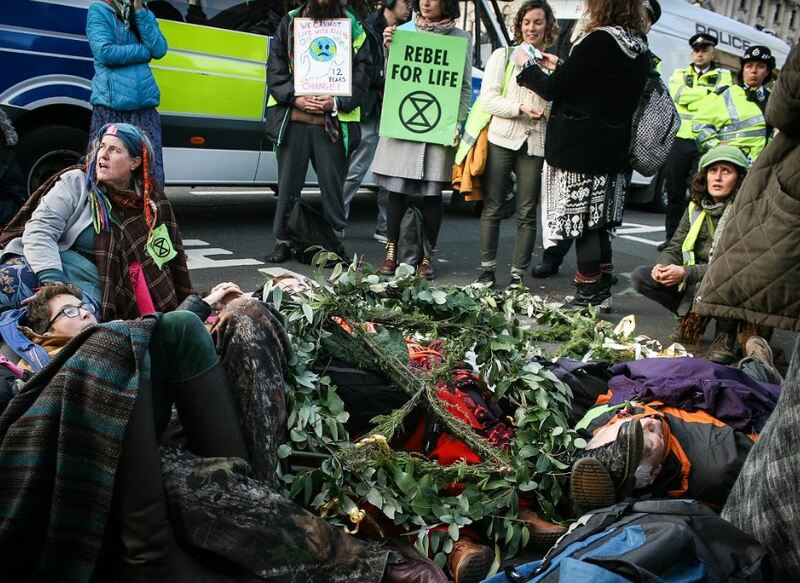 The Extinction Rebellion movement have carried out a festival of performances and acts of civil disobedience to highlight the drastic changes that need to be made to prevent extinction level climate change. 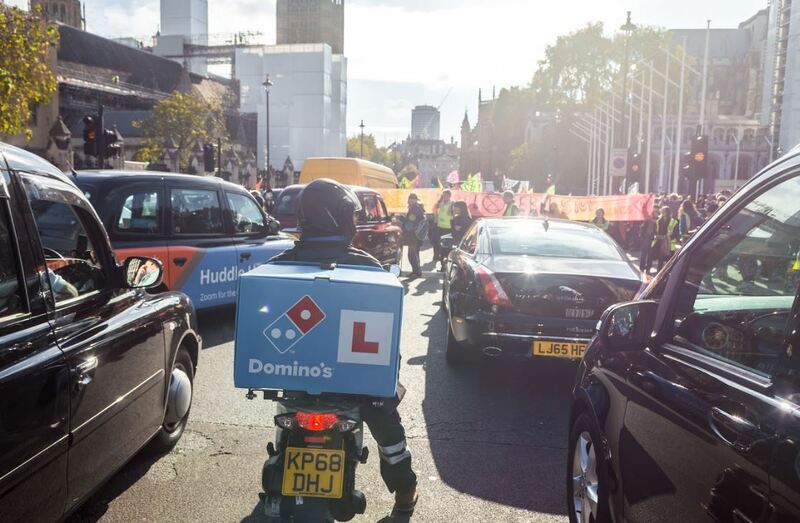 All four sites targetted by the demonstration were still being occupied: Parliament Square, Oxford Circus, Marble Arch and Waterloo Bridge. 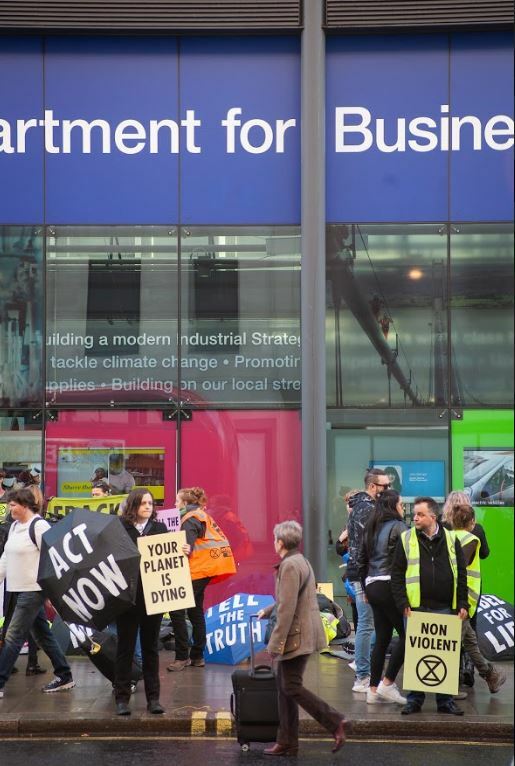 Two protestors were still on the roof of Shell Corporations’ London Headquarters on Tuesday morning. 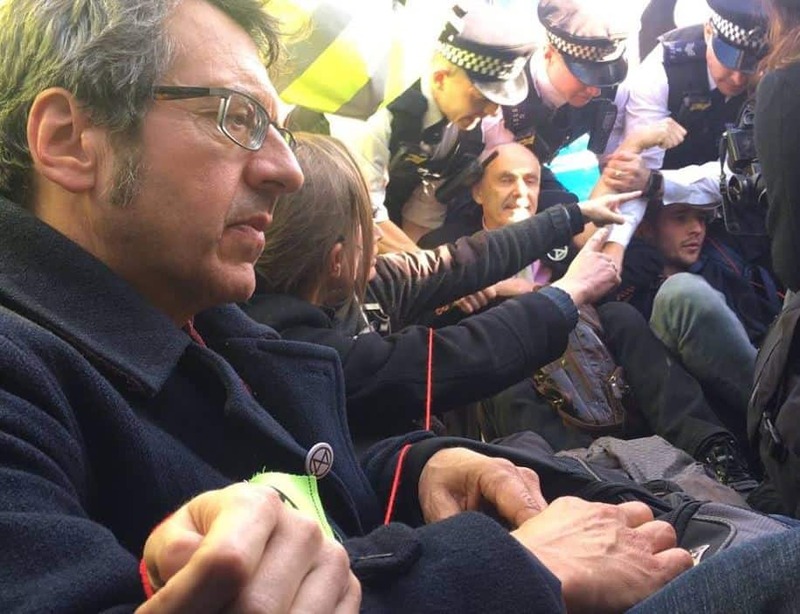 Protesters smeared paint, graffiti saying “Shell knows” and shattered a glass revolving door at the London HQ of fossil fuel company Shell. 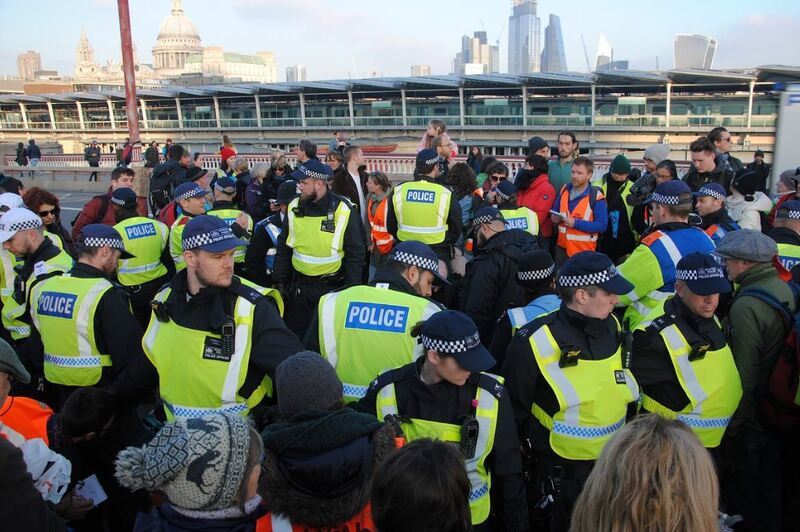 A Section 14 was issued by the Metropolitan Police, banning people from demonstrating on Waterloo Bridge and another has now been issued at Parliament Square, with more arrests imminent there too. 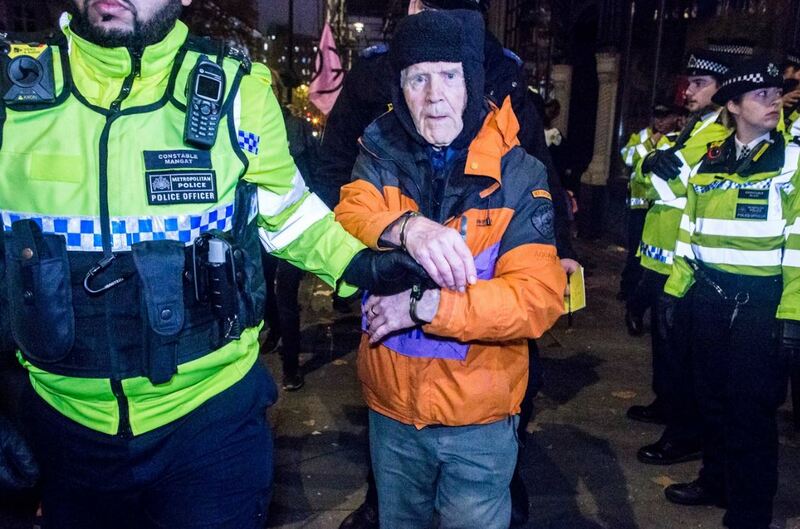 “A proportionate policing plan is in place to balance the right to a peaceful protest” insisted the Metropolitan Police. 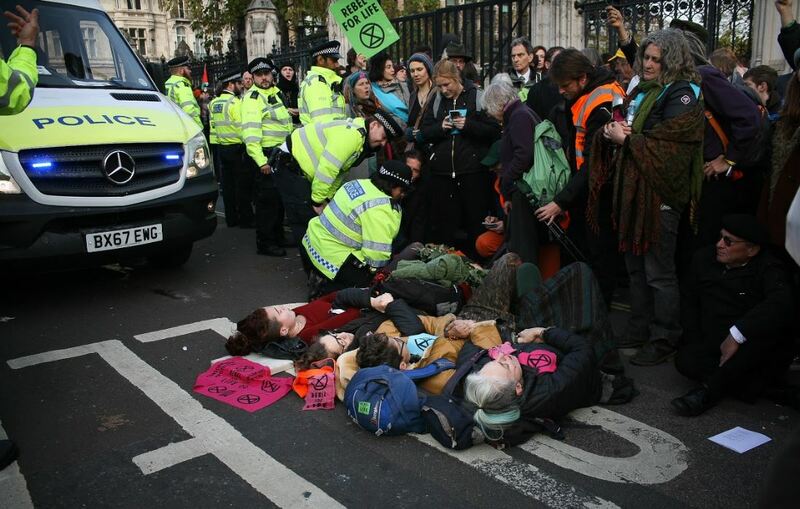 London is at the centre of a global protest over “an ecological emergency”. 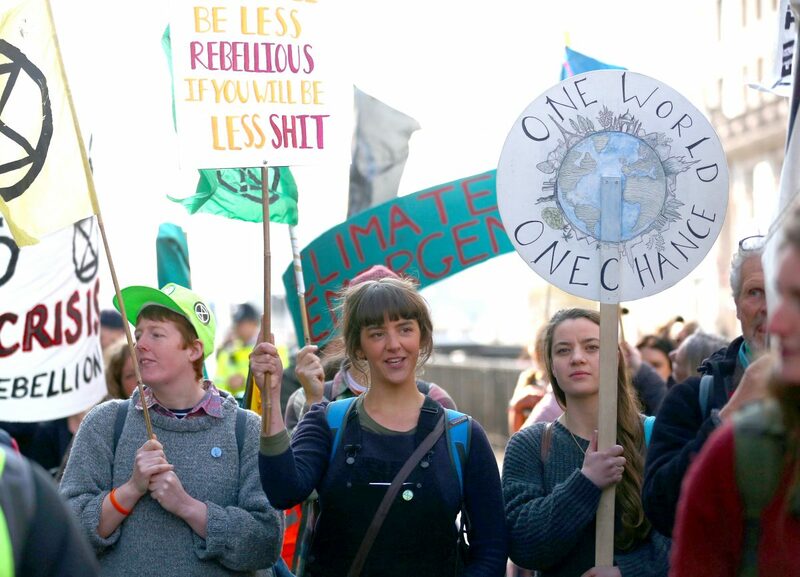 The capital occupations are part of a wider series of actions to demand urgent policy changes on climate change taking place across the UK and around the world, with 331 groups in 49 different countries. 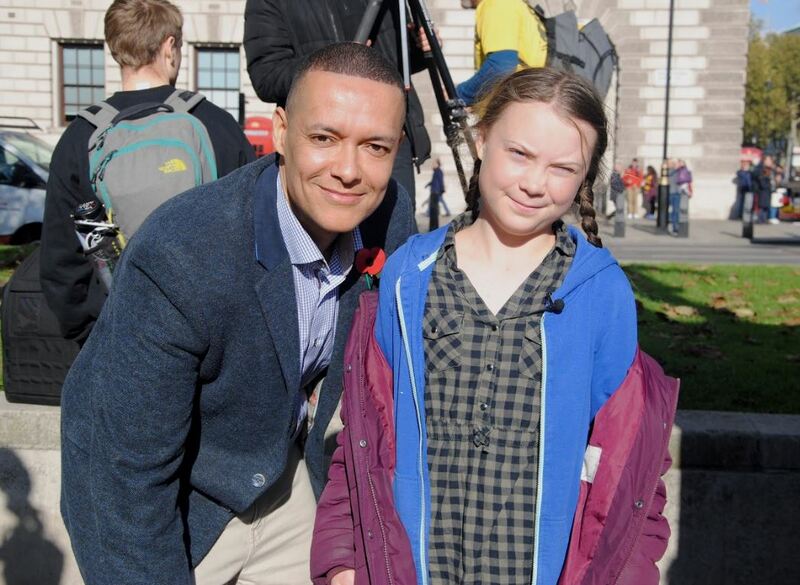 Labour MP Clive Lewis and founder of the school climate strike movement Greta Thurnberg were among the high profile supporters who joined protestors at Westminster. 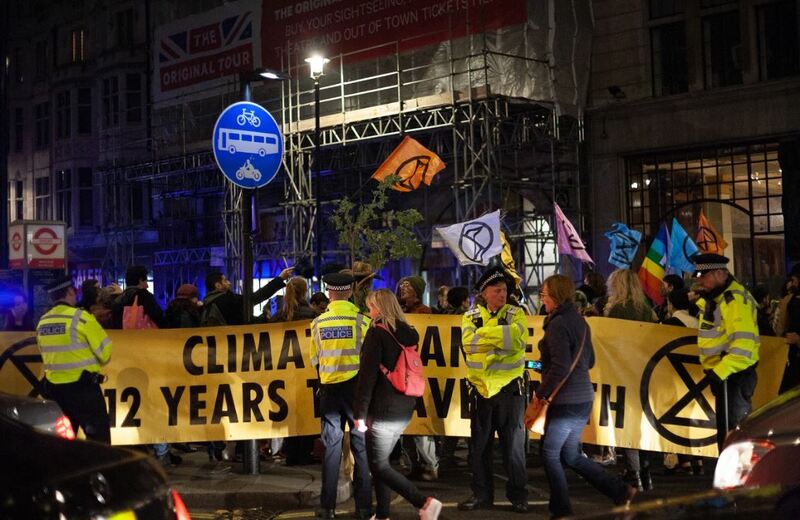 Central London was brought to a standstill as thousands of demonstrators held peaceful actions aiming to highlight the catastrophic extinctions being caused by a failure to take big steps to stop climate change and environmental havoc. 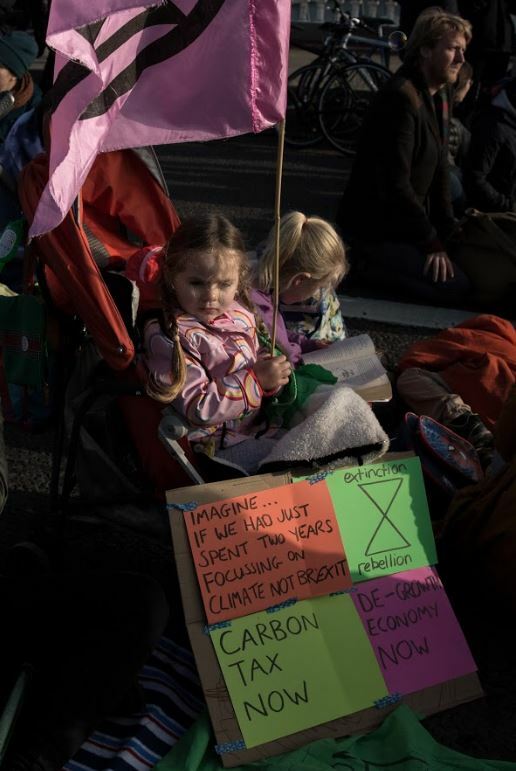 The movement calls on the government to reduce carbon emissions to zero by 2025 and establish a citizens’ assembly to devise an emergency plan of action before it is too late. 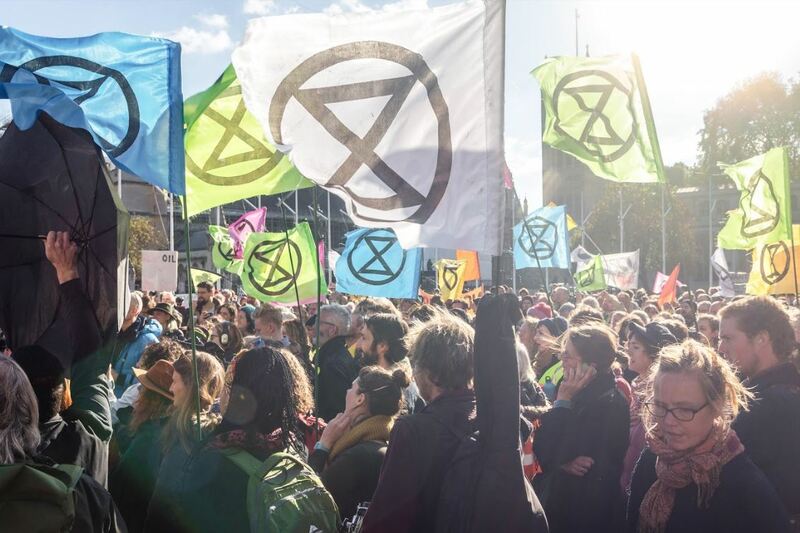 It points to recent climate predictions that find humans face an existential threat if climate change is not drastically cut and the extinction of species continue to cause a mass loss of biodiversity across the planet. 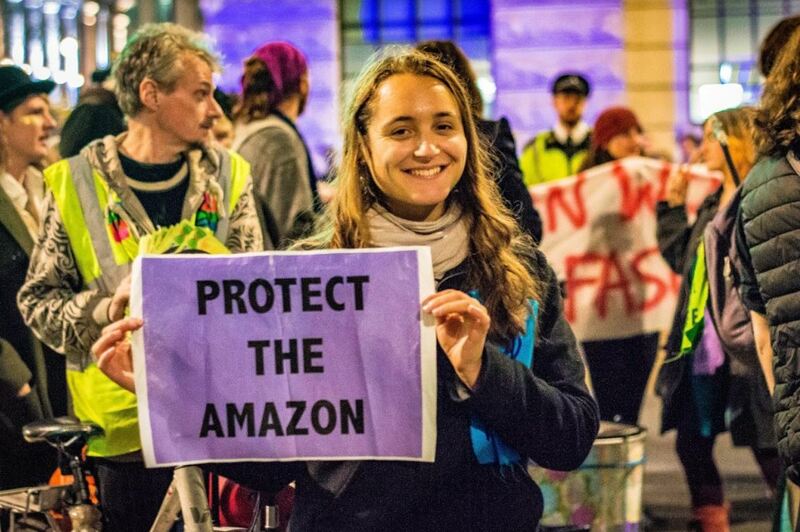 The movement vowed to risk arrest and imprisonment by blocking bridges, roads, harbours and transport systems. 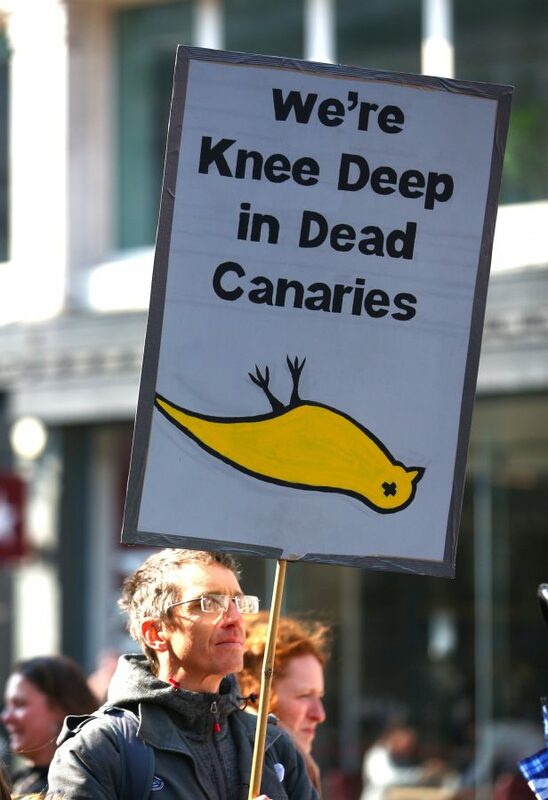 “When Government and the law fail to provide any assurance of adequate protection, as well as security for its people’s well-being and the nation’s future, it becomes the right of its citizens to seek redress in order to restore dutiful democracy and to secure the solutions needed to avert catastrophe and protect the future. 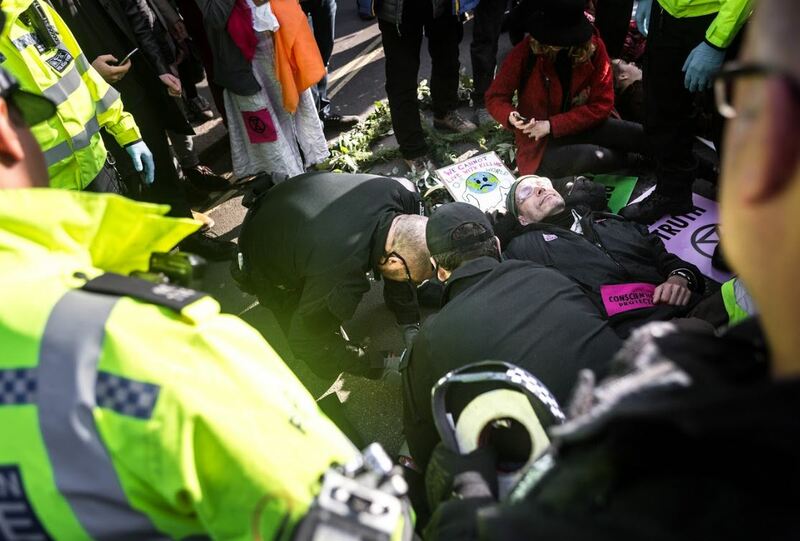 It becomes not only our right, it becomes our sacred duty to rebel,” say the organisers of Extinction Rebellion. 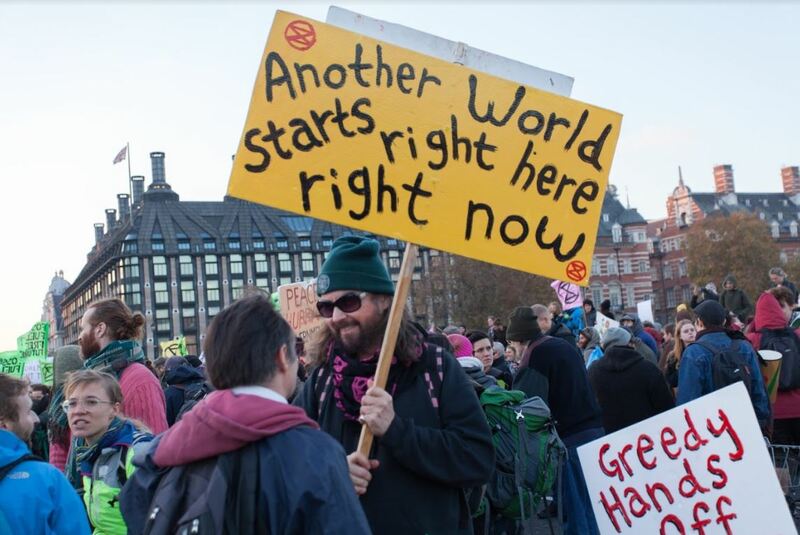 Last October, the Intergovernmental Panel on Climate Change, a normally conservative body, warned countries need to radically change the way we live over the next 12 years to avoid catastrophic consequences. 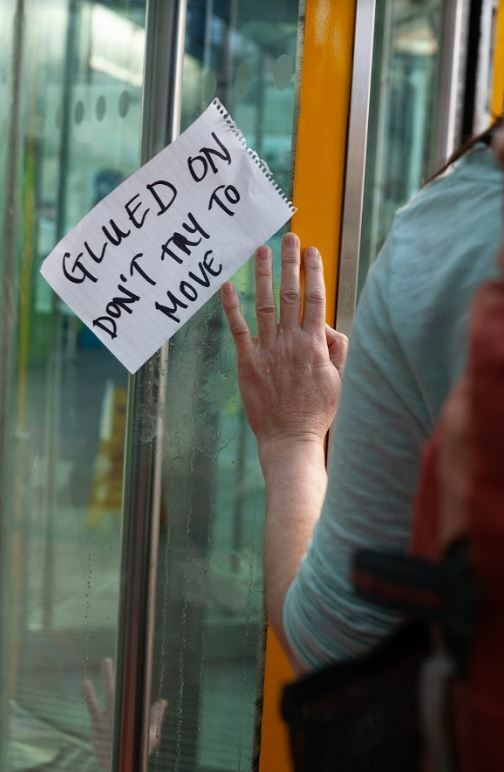 A full declaration of the movement’s aims can be found here. 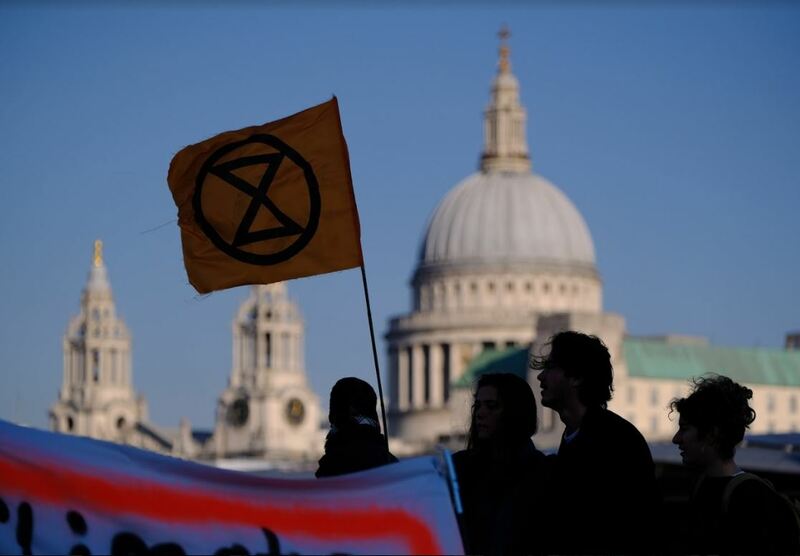 “The science is clear:- we are in the sixth mass extinction event and we will face catastrophe if we do not act swiftly and robustly. 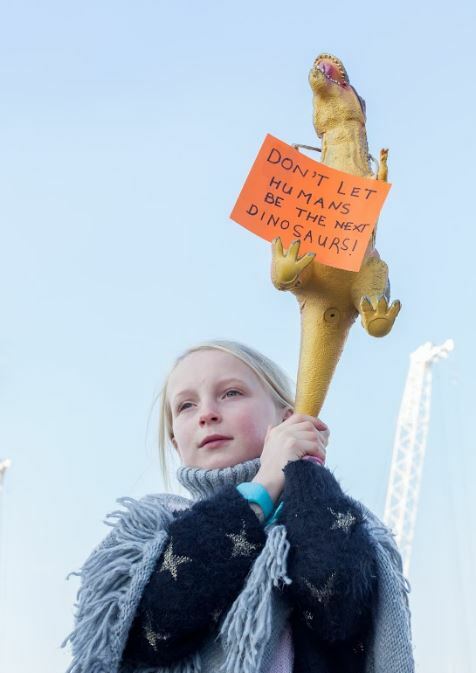 “Biodiversity is being annihilated around the world. 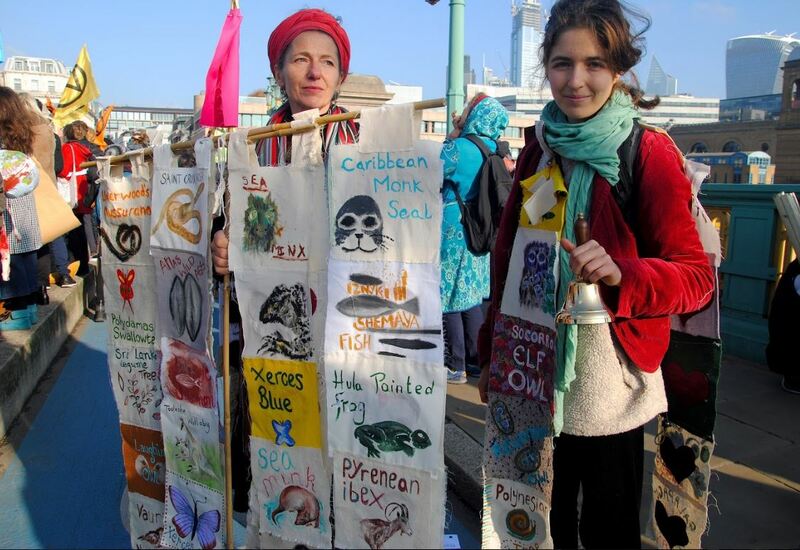 Our seas are poisoned, acidic and rising. 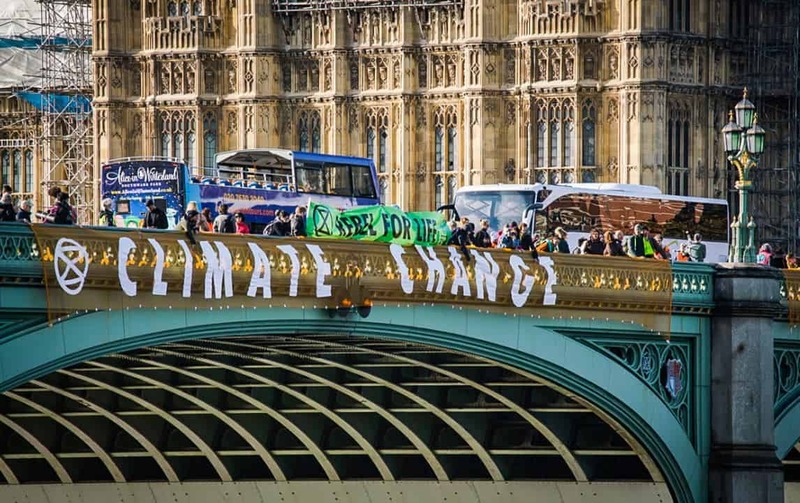 Flooding and desertification will render vast tracts of land uninhabitable and lead to mass migration. 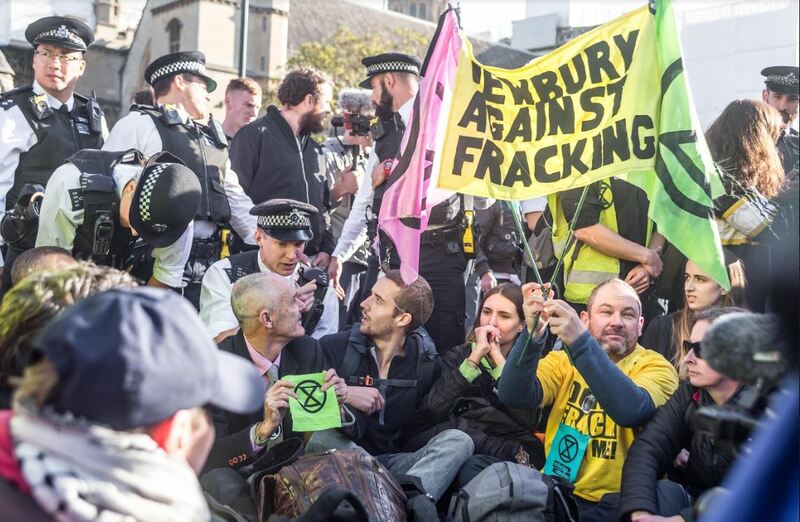 “Our air is so toxic that the United Kingdom is breaking the law. 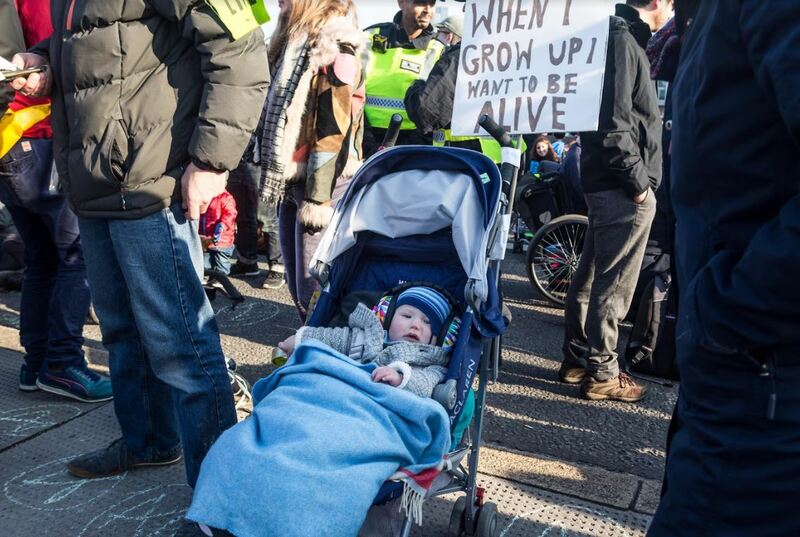 It harms the unborn whilst causing tens of thousands to die. 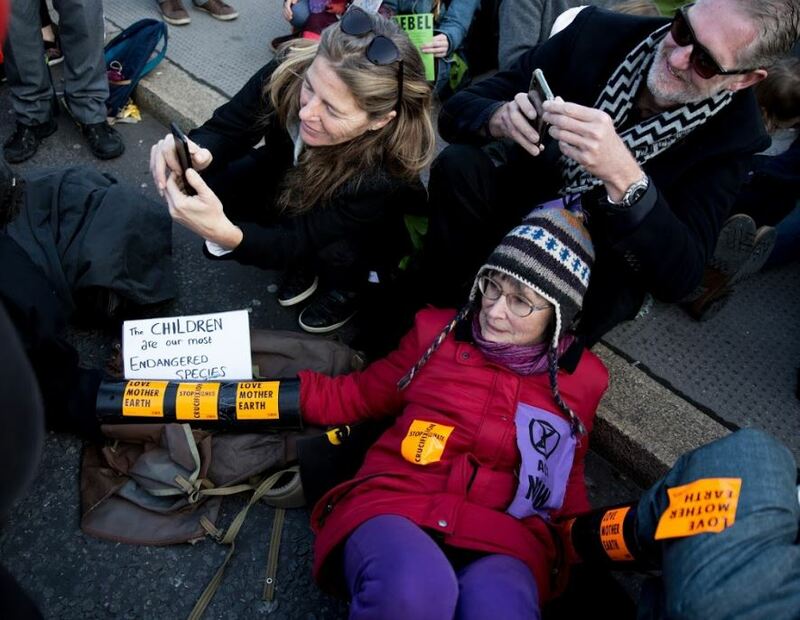 The breakdown of our climate has begun. 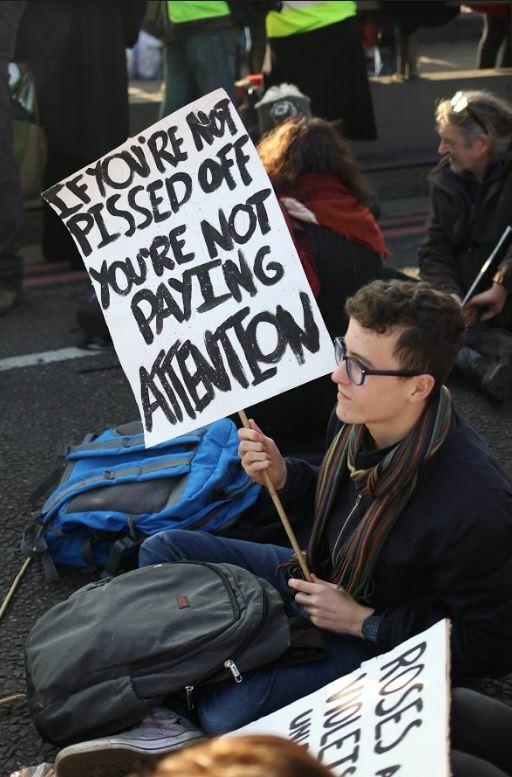 There will be more wildfires, unpredictable super storms, increasing famine and untold drought as food supplies and fresh water disappear. 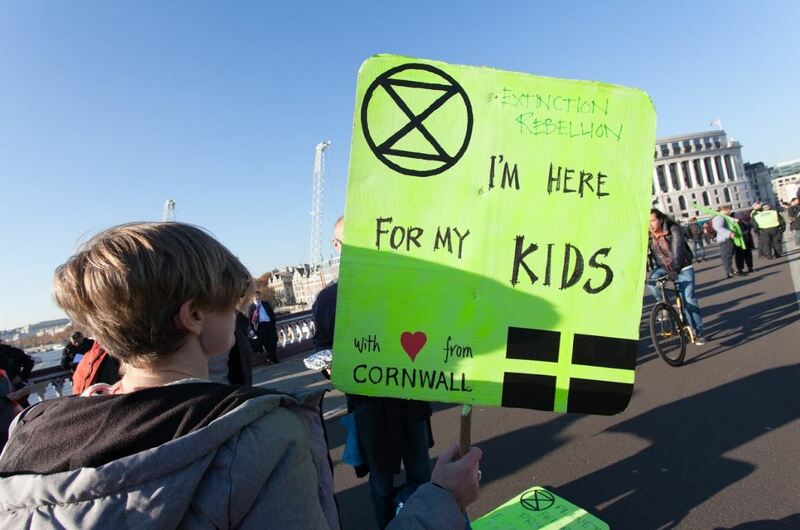 Extinction Rebellion is backed by many scientists, academics, and public figures such as School Striker Greta Thunberg, Dame Emma Thompson, Radiohead, Stephen Fry and former archbishop of Canterbury Rowan Williams.